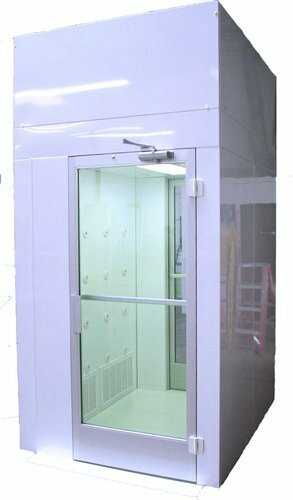 Air Showers are used to remove contaminate off personnel and equipment as they enter a clean environment or exit a contaminated environment. Air showers also create a protective barrier between the clean and contaminated areas.ASPT offers a wide variety of sizes and construction materials in order to offer the most customized and affordable product for each individual need.If you are unsure of what type of Air Shower you may need for your particular project please ask us for our Air Shower Questionnaire. Founded in the year 2016, We, Techpanacea Private Limited are service provider of an extensive array of Clean Room, Modular Operation Theater, HVAC System, Air Purification System. Our range of products and services are widely appreciated in the market for being reliable and cost-effective. We make sure that the services that We offer are in compliance with latest techniques and concepts. Our services are widely appreciated for their high efficiency and timely execution. With our international standard services, We attained a position of a tough competitor in the market. With an extensive domain knowledge, We are able to deliver superior quality services and products at affordable rates to our esteemed and valuable patrons. Our technically sound staff, under the supervision of engineers, carries out all the production processes. We give proper training to our employees before allowing them to carry out different operations. These services are tested for quality, efficiency and safety before execution. We make sure that our clients get what they are looking for and are extremely satisfied with our services. Further, Our organization is always there to assist our clients in every possible way.